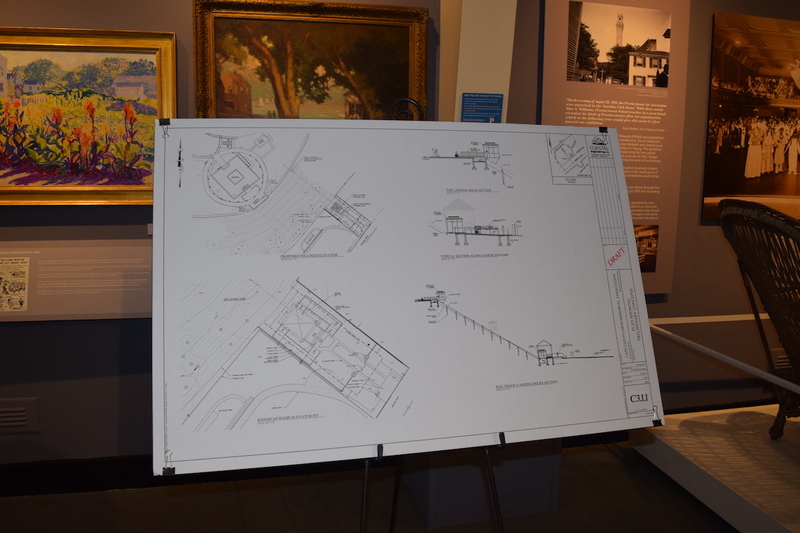 The Pilgrim Monument and Provincetown Museum (PMPM) hosted a community forum on Saturday, November 4, to discuss the proposed incline elevator project that will connect the PMPM to Bradford Street and to the center of Provincetown. 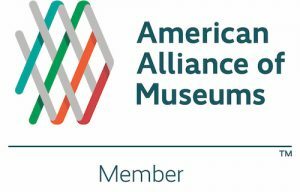 The meeting was led by Courtney Hurst, President of the PMPM Board of Trustees, Paul deRuyter, PMPM trustee and chair of the trustee’s Bradford Access Project Committee, PMPM Executive Director Dr. K. David Weidner, and facilitated by Michelle Crone and Sally Rose. The proposed Bradford Access Project involves the construction of an incline elevator or tram, laid on a track on a narrow, landscaped strip which will ascend from the Monument’s property immediately next to the Bas Relief Park on Bradford Street up to the PMPM campus. The group emphasized that they are still working on final details of the project and will have additional information that they will share with the community as it becomes available. The overarching goal of the project is to create a deeper connection with Provincetown residents and provide better access to the PMPM campus. 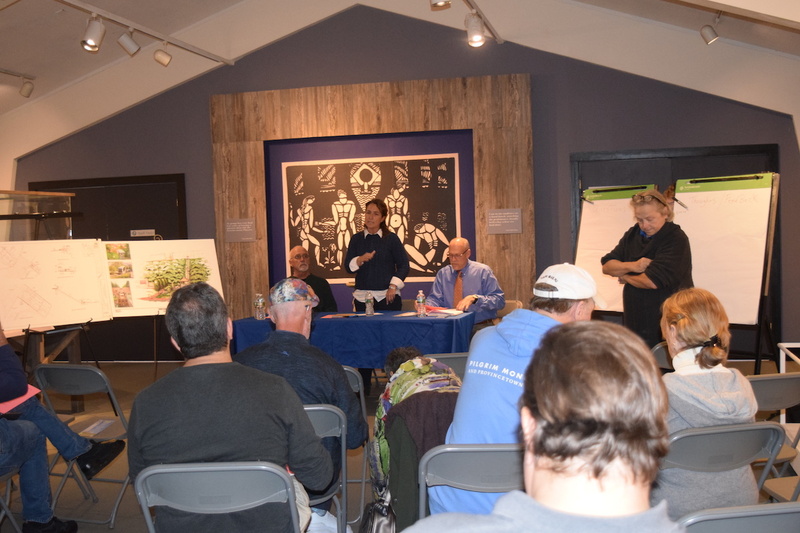 Some of the issues raised by the attendees were: visual impact of the incline elevator, environmental impact, safety, access to the grounds, integrating educational opportunities, financing, collaboration with the town especially with the Bas Relief Park Committee, and preserving the historic character. Mr. deRuyter emphasized that the PMPM wants to share the beautiful, tranquil grounds of the PMPM with the public and to make it easier for both locals and tourists alike to access the campus. The incline elevator project will allow the organization to do that. Details regarding the price of a ticket to ride the incline elevator, providing free access for members of the community, and other issues are still being worked out. 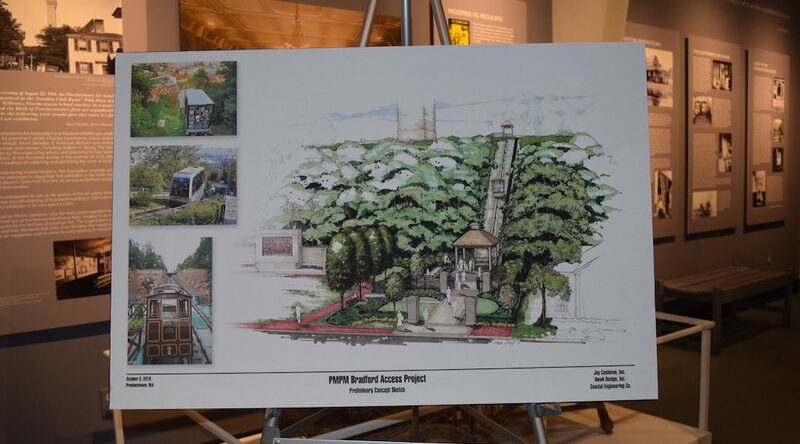 Mr. deRuyter also clarified that the preliminary cost of the incline elevator project is estimated between $1.8 million to $2.0 million and is part of a larger, multi-phased-in capital project that’s still in the very early stages of development and encompasses other parts of the PMPM campus including the museum building itself. Funding for the incline elevator and the other phases will be provided by a combination of sources including a fundraising campaign. The community forums are another step in the process that will lead to the beginning of construction in 2018, with a goal of completing the incline elevator in 2019. 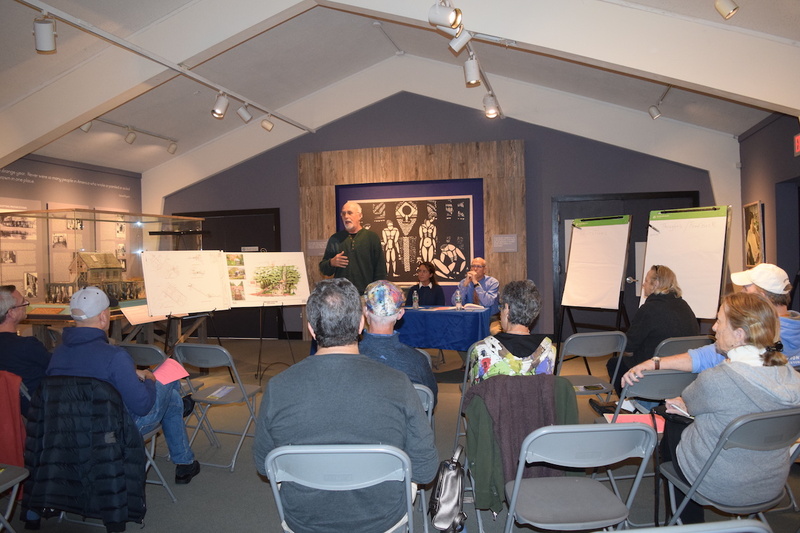 There will be another community meeting on Wednesday, November 8 where specific issues that were raised at the PMPM Membership meeting and the Community Forum on November 4 will be discussed on a deeper level. That meeting is open to the public and will be held at the PMPM from 5:30 p.m. to 7:00 p.m. We will also be updating this blog with the latest information on the Bradford Access Project on a regular basis.